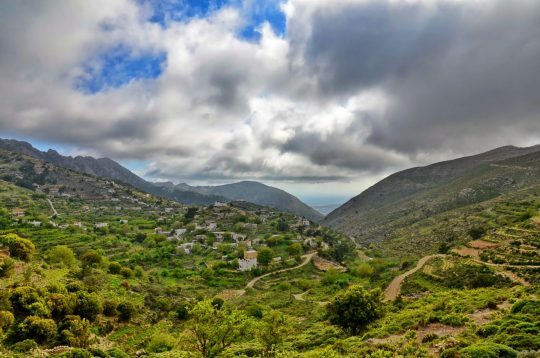 The hike starts from Kavousi village, near Tholos beach and pass through the village of Thripti. 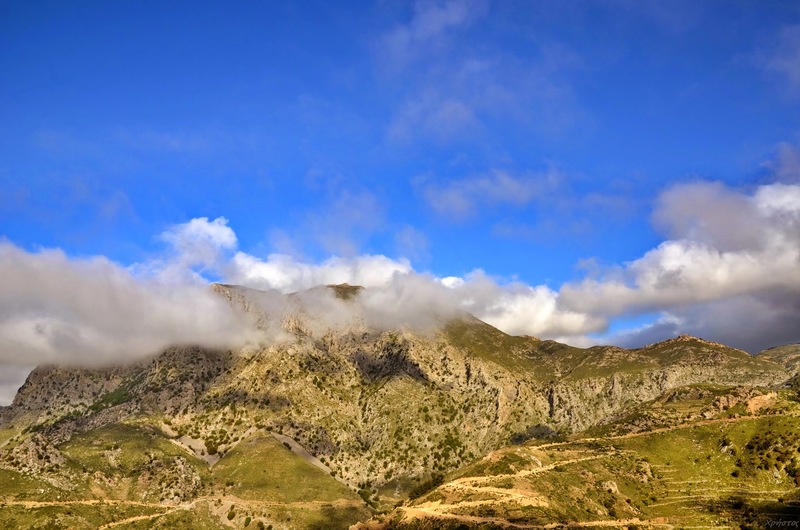 The village is situated on a secluded plateau at 850 meters altitude. Depending the group needs, we will stop either for lanch or coffee (or both) in a traditional taverna in the small village of Thripti where you can taste some great local recipes. It’s 21 km long, it takes about 8 hours and the difference of altitude is about 1600 meters. The route is along a dirt road and a clear, well-signed trail. Up to the small chapel of Agia Anna the way is mild up, then it becomes steeper. 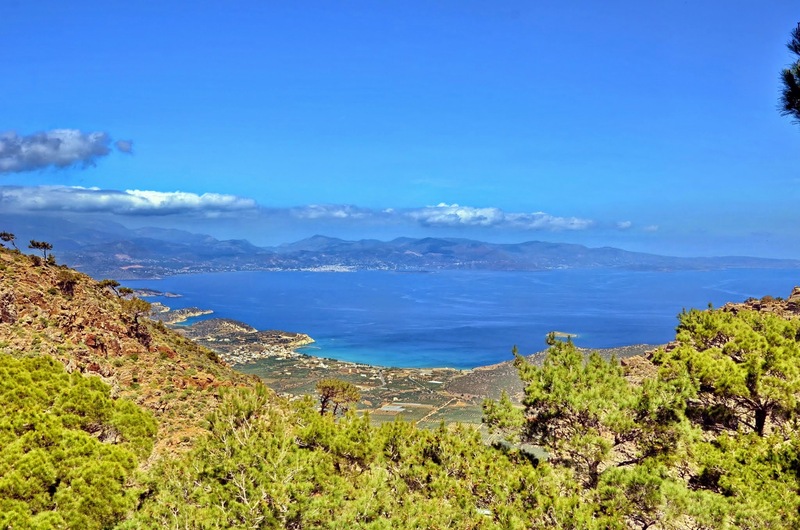 The way down is not difficult and offers a wonderful view to the Cretan sea. The route can be cut down to 6 hours if you don’t ascend to the peak Estavromenos Christos at 1476 meters and you decide to stop at the small village of Thrypti, where there is a tavern. The E4 European long distance path or E4 path is one of the European long-distance paths. Starting at its westernmost point in Portugal it continues through Spain, France, Switzerland, Germany, Austria, Hungary, Romania, Bulgaria and Greece to end in Cyprus. 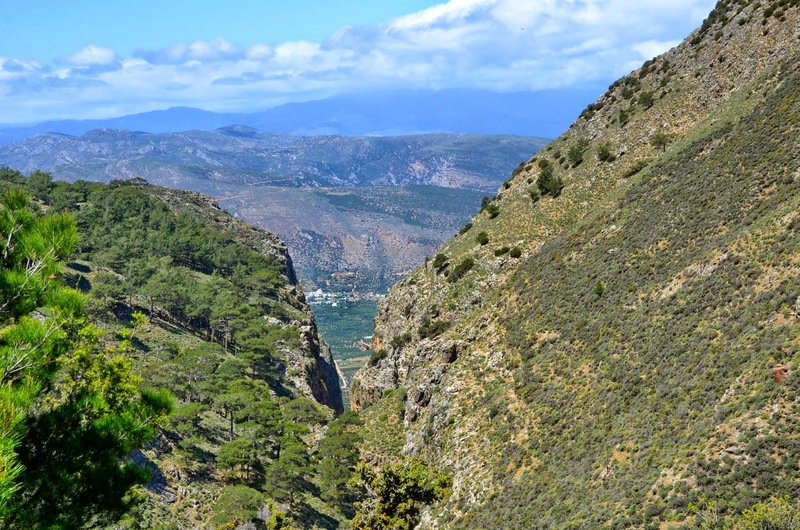 Part of the Greek path is in Crete. 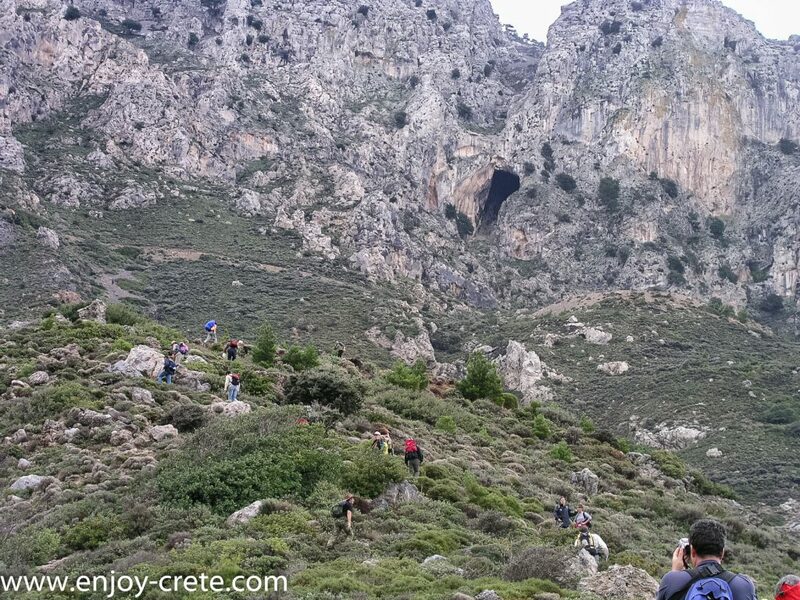 In Crete and throughout Greece the E4 path was founded and is maintained by the Hellenic Federation of Mountaineering and Climbing. It begins from Kastelli Kissamos in the west of Crete and crosses along the whole Island reaching Kato Zakros in the east where it ends. 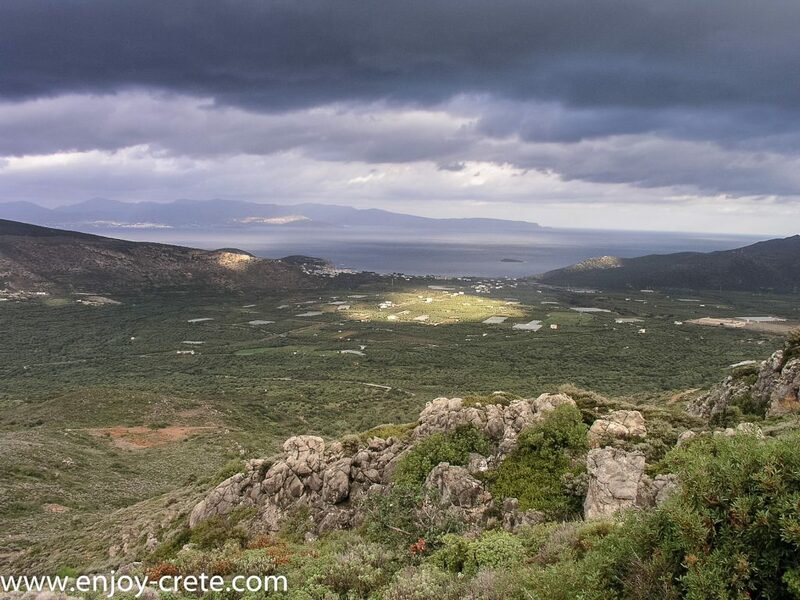 In Crete the E4 path is signposted by yellow markers and yellow with black arrows and is more or less about 320 km long. Walking up towards Thripti village. The view to Merampelo golf. You will need to pack your lunch. Other than that you will need at least 1.5lt of water,sun glasses, hat and sunscreen. It will be fine to do this hike with normal sport shoes but hiking shoes are much more recommended due to rocky and sharp terrain. During winter you will need a waterproof jacket and pant plus a fleece jacket. Depending where you are located, if you end up coming with your car we will meet in Kavousi village. We start by 10 am and depending the length (6 or 8 hours) we will finish late evening. Is it possible to make the trip shorter? Yes as long as we don't have other clients booked the same day. If that is the case we can do part of the route starting from Kavousi village.